Companies invest their time into the preparation of luscious posters to create an image, an image which will bring onboard new customers. Posters are cheap but they shouldn’t look cheap. Posters can create magic through the textual and graphic elements. They are hugely popular to increase the sale of a product. Poster is nothing other than an advertisement made of colorful images or large prints or the combined story of both to illustrate a story. The story needs to be lively enough so that it can move the viewers. The headline of a poster attracts the most attention. Therefore, do not go overboard with the headline. A concise, short headline is important to make the poster attractive. It is important to have fun during the process of poster making. Monotonous looking posters will never attract consumer’s attention. Include images into your poster. Diagrams, graphics and figures help in illustrating the ideas. Resolution of the posters need to be high. 300 DPI is a reliable resolution for the printers. Be informative in your posters. A bland looking poster seems less appealing to the eyes of the viewers. The last important point to be noted during posters making, that the fonts and graphics should have good visibility. •	Brand Personality cannot be ignored- Every brand has its own personality and image. Before making a poster for a company, you need to check out the company’s brand identity. Every company presents itself to the consumers in a different way and usually companies prefer to maintain a similarity in all of its posters. Sudden change leads to confusion among the customers. •	You need to Identify Ideal Customers- You won’t design in the same way for a retail shop and for a new gym. 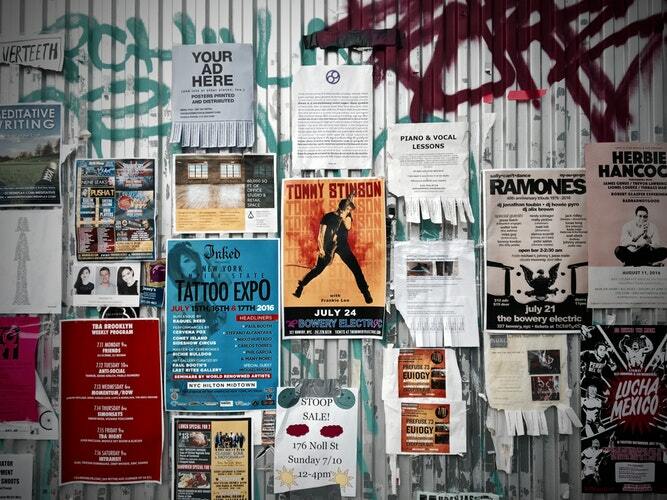 Posters must be featuring the necessary characteristics of the brand and the target audience. •	Your Message should be Clearly Expressed through the Poster- A haphazard, confusing message is completely undesirable during the promotion of a business and posters promote business. Therefore, be attentive to details. •	Budget friendly Posters are Always Welcome- If you go overboard with your poster budget then it will harm your business in the long run. Therefore, design carefully so that you do not cross over the pre-set budget. •	Tell a Story through the Poster- If a poster does not tell any story then it won’t be pleasing to the eyes of the customers. Narrating an interesting story increases the business’s sale and this is the purpose of posters. Posters are not only about promoting the sales of an organization. If the designer invests time into creating an original, unique poster idea, it will automatically attract customers’ attention. Every successful poster maintains its own unique style and the style makes a difference in the long run. Your poster’s colour, typography everything altogether works as a deciding factor of whether the poster will work well or not.